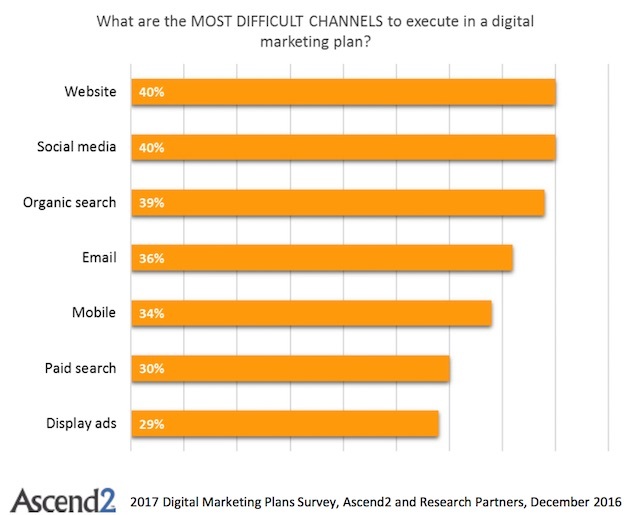 Respondents say the most difficult channels to execute in a digital marketing plan are brand websites (40% cite as a difficult channel), social media (40%), and organic search (39%). 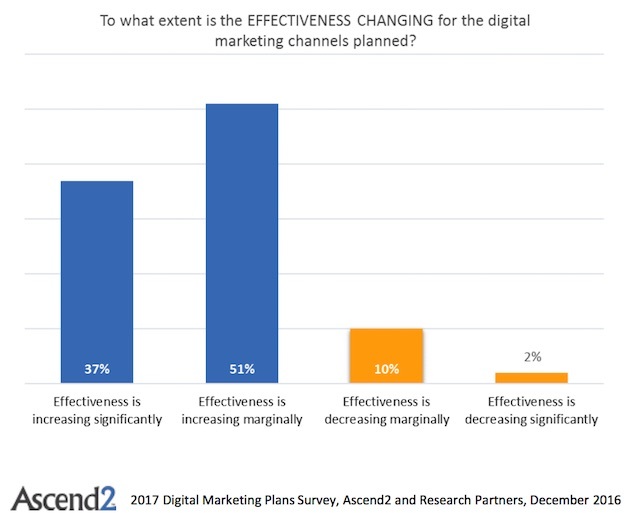 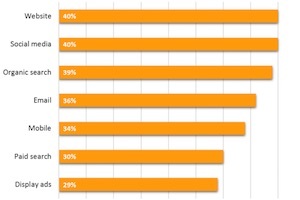 Some 51% of respondents say the effectiveness of digital marketing channels is increasing marginally over time, and 37% say it is increasing significantly; 10% say effectiveness is decreasing marginally, and 2% say it is decreasing significantly. 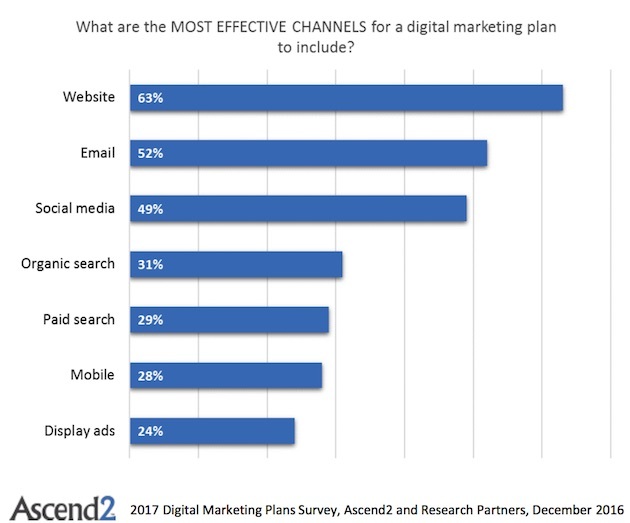 About the research: The report was based on data from a survey conducted in December 2016 of 265 marketers (47% B2B-focused, 35% B2C, 18% both B2B and B2C).